We are having our first house guest tomorrow! Ann, my bonus mom, is coming to Dallas to visit for the weekend! Technically, she is my step-mom, but I like bonus mom better. I’m in cleaning and fall decorating mode to prepare for her visit. Gabi is doing a great job supervising me as I clean. So happy to have family time this week! If I miss one thing about Indiana, it has to be having family around to do things together. We are going to shop in Grapevine, watch the Cardinals games, have brunch at Blue Mesa and possibly checkout the Texas State Fair. Now…I have to get back to folding towels and thinking up some tasty dishes to serve! Hope you are having a great week! 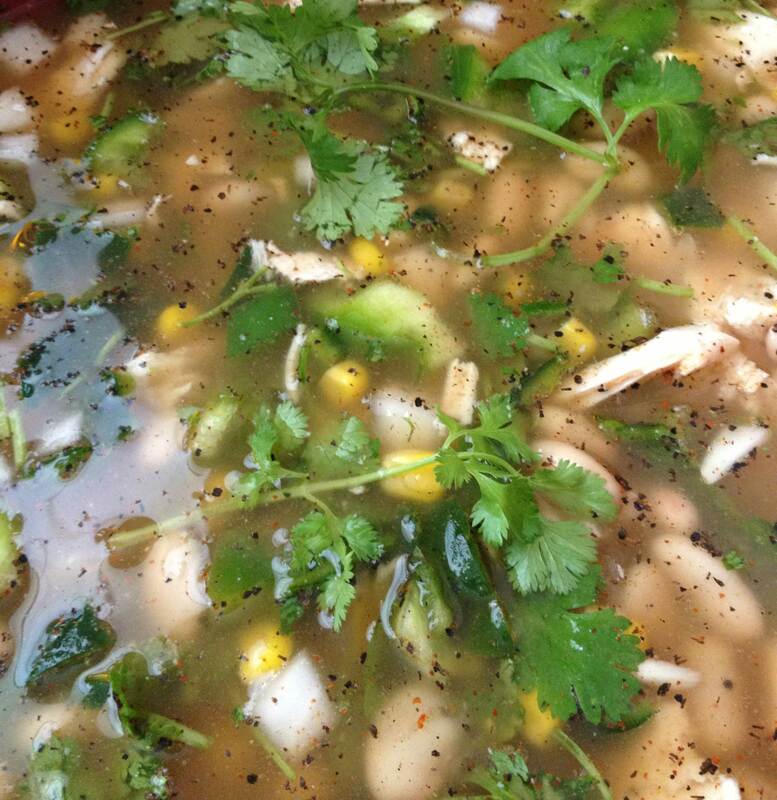 I may make her my new favorite Cilantro + Lime White Chicken Chili with jalapeño cornbread…YUM!